Rebecca Willers is the Director at Shepreth Wildlife Park. She graduated from the Open University with an MBA, BSc Hons in Psychology, alongside an FdSc in Zoo Resource Management and a Veterinary Assistant diploma. Rebecca was also a freelance journalist. Shepreth Wildlife Park is a family concern managed by Rebecca , her father and brother. Rebecca’s key interest lies in conservation, both native and global, and having founded the charity in 2012, now oversees the work of the charity and the SWCC Hedgehog Hospital programme with her fellow trustees, rehabilitating and releasing hedgehogs back into the wild using a scientific approach. I have been involved with SWCC since its launch in 2011. My involvement began as a result of my daughter Libbys passion for tigers, these days it’s a family affair with both my girls Libby and Aimie actively involved in fundraising of all kinds, supported by my parents, whether it’s printing T-shirts or tickets, running stalls or knitting hedgehogs to sell, nobody escapes. Fundraising for such great causes is very rewarding and lots of fun, but most importantly it is about educating a new generation about conservation. I work as registrar at Shepreth wildlife park and I have been secretary of SWCC since the charity was set up. I enjoy being involved with fundraising events, my favourite event being our Halloween evening. SWCC has succeeded in building and running a very successful hedgehog hospital along with supporting other valuable conservation projects and I am very proud to be a part of it. 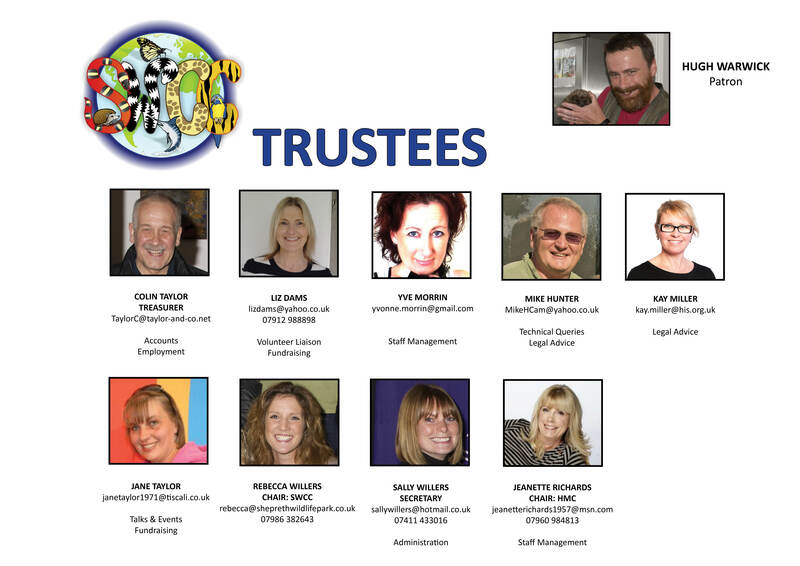 When I was asked if I would consider being a Trustee of SWCC, I quickly accepted as it was an ideal opportunity for me to be part of a like-minded, dedicated team of people who are committed to a cause which matters to me and of which I am passionate about. Fundraising for animals such as the magnificent tiger or our prickly hedgehog friends is extremely rewarding but most importantly I enjoy helping educate people about animal welfare, wildlife and conservation. Being an accountant and having strong connections with Shepreth Wildlife Park and its family, I was delighted to become treasurer when the charity was formed. I have always been fascinated by hedgehogs and their secret lives, and I am therefore pleased to be a part of such a worthwhile charity. Mike is a Cambridge based entrepreneur and former CEO of i2 (leading provider of intelligence analysis software). Mike is now retired and busy with new projects.